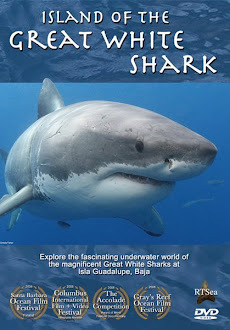 Shark Diver : Shark Diving : Swimming With Sharks: Do you want to work with sharks? My friend Ingrid Sprake, a project director at Projects Abroad has let me know about an exciting volunteer opportunity, to work with sharks in South Africa. This project is perfect for anyone with a passion for marine wildlife and the great outdoors. The South African Shark Conservation Project offers you the chance to get up close to some of the most endangered and mis-understood animals in the world whilst working closely with experts in this field to ensure the conservation of these animals. Volunteers are welcome on a gap year, a career break, for university research or as part of a summer holiday. The Shark Conservation Project is based in the Old Harbour Museum in the coastal town of Hermanus in South Africa. Hermanus is situated on the shores of Walker Bay, which lies at the meeting of two great oceans - the Atlantic and Indian Oceans. The close proximity to the sea enables the project to have a fully operational marine laboratory equipped with experimental tanks housing captive sharks and a touch-tank for educational purposes. The site also houses an education center where a training and outreach programme is delivered to the community, fishermen & the eco-tourism industry. Assisting with scientific surveys to assess how pollution is affecting the oceans. Monitoring the diversity and movement of sharks, skates and rays in Walker Bay using conventional tagging techniques. Collecting biological measurements from catshark species for identification, conservation and management purposes. Collecting data on sharks, including genetic samples, tagging, movement, and growth. 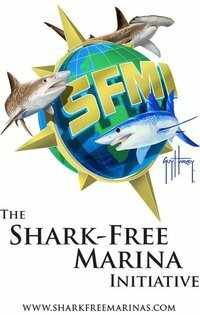 Non-invasive monitoring of the diversity and habitat use of sharks using the baited remote underwater video (BRUV) method. Assisting with sample collection of invertebrates, algae, sharks, etc for better understanding of ecosystem dynamics (food webs). Developing and implementing community-based education activities and programmes. A typical working day will run from 7am to 6pm. However, depending on the activities volunteers may be required to start earlier or finish later. Trained local staff are on hand to supervise activities and provide support throughout. The weekly schedule includes conducting lab-based shark behaviour experiments and boat-based shark surveys. Whilst this project does not include any scuba diving activities, as a volunteer you will have the opportunity to go cage diving with great white sharks, usually once every two weeks. You will also assist in the collection of ecotourism-based data on white sharks. Additionally, volunteers staying longer than 4 weeks will participate in an individual shark identification project. This uses photo ID techniques to develop a catalogue on endemic shark species in Walker Bay. Part of your stay will include completing the Shark Research Project Course which results in a certification. As part of the course you will see a shark dissection and collect data on a moribund shark. The shark research being carried out on the project in South Africa helps to ensure that scientists and marine protection lobbyists are provided with regular and consistent scientific data about the life history, reproductive information, movement and biology of the sharks found in South African waters. This information is vital for devising successful conservation and management strategies, helping to keep these specific shark species off the critically endangered species lists. Sharks play a crucial role in our oceans. Most sharks serve as apex predators at the top of the marine food pyramid. Directly or indirectly they regulate the natural balance of the marine ecosystems, at all levels, and are therefore an essential part of them. Sharks usually hunt old, weak or sick prey and help to keep the prey population in good condition, enabling these more naturally fit animals to reproduce and pass on their genes. The Shark Conservation Project in South Africa forms part of Projects Abroad’s Global Shark Campaign, which gives people from various backgrounds and ages the chance to help with the conservation of sharks and marine life. Projects Abroad are embarking on a campaign in 18 countries across four continents to raise awareness on shark conservation. Volunteers live together in shared accommodation in Hermanus, with 2 - 4 volunteers sharing a room. A local housekeeper looks after the volunteer accommodation and prepares three meals a day. Packed lunches are provided on days in the field. You will be met at the international airport in Cape Town and be transferred to Hermanus, 1.5 hours away. The local food consists of plenty of rice, potatoes, bread, chicken and starchy root vegetables. Tropical fruit like papaya, mango, pineapple and watermelon are available in season. Vegetarians can be catered for. Hermanus offers a variety of activities, including kayaking, fishing, hiking, boat-based whale watching trips (in season). There is also excellent scuba diving, and some of South Africa’s most beautiful beaches. There are many restaurants, art galleries and local shops to visit. Since it is situated only 1.5hours from Cape Town, volunteers can easily access the city and all it has to offer. You can join the Conservation & Environment project in South Africa for two or three weeks if you don't have time to join us for four weeks or more. This project has been selected by our local colleagues as being suitable for short term volunteering for both the host community and the volunteer. Although you will gain a valuable cultural insight and work within the local area please be aware that you may not be able to make the same impact as someone volunteering for a longer period. Again, the link to apply is here and if you would like more information on this and many other volunteer opportunities, you can find it here.